Gliding is an exhilaration adventure sport. Using an engine-less aircraft with speeds of 31 knots that can achieve great heights by utilising the natures currents of air that birds use to fly. Like any sport, accidents can happen at any time, even to the most experienced pilots. 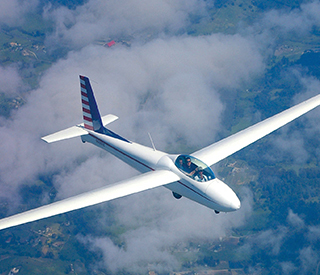 Aviation Insurance Brokers are experts in Glider Insurance. We are experts with Hull and Liability Insurance on your glider or sailplane aircraft for flight, taxing and ground risks including aircraft trailer together with parachute and specified equipment whilst being carried in the aircraft, caused by the aircraft or by any person or object falling therefrom. Loss of or damage to baggage and personal belongings of passengers. We are happy to help you with all of your glider insurance needs and our experts have experience with all types of glider from Discus, ASK21 and your motor glider Dimona HK36.